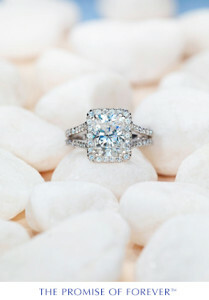 Moissanite is a unique jewel with more fire, brilliance, and sparkling lustre than any other jewel or gemstone including a diamond. All Charles & Colvard moissanite is sold with a Charles & Colvard® Lifetime Warranty giving you the assurance that its sparkling fire and brilliance will never fade. It will be every bit as beautiful, fiery and brilliant for generations from the day you make your purchase. Moissanite is a rare, naturally occurring mineral also known as silicon carbide, which was first discovered by the Nobel Prize Winning chemist Dr. Henri Moissan at the site of a massive meteorite strike in Arizona. This intriguing new stone was named moissanite in his honour. It wasn’t until the late 1990’s that scientists – working in a research laboratory located in Research Triangle Park, North Carolina – developed the innovative thermal growing process that creates silicon carbide crystals. These crystals are fashioned into moissanite gemstones that rival any earthly gemstone for fire and brilliance. These gems are more durable than diamond, sapphire, ruby or emerald. 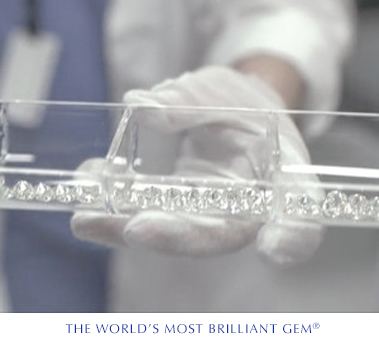 Moissanite is created in the USA by Charles & Colvard® using a thermal process. Charles & Colvard is the exclusive global supplier of Charles & Colvard® moissanite. Each Moissanite crystal is cut and polished by hand into a beautiful sparkling gemstone with unrivalled fire and brilliance. It is also known as silicon carbide which is one of the hardest and toughest known elements on earth, making it extremely resistant to scratching, chipping or breaking. Moissanite isn’t a diamond simulant or a synthetic diamond – it is an affordable alternative and a jewel in its own right. However, inevitably, comparisons are always made since moissanite looks like and tests as a diamond using a standard diamond tester. Charles & Colvard is available in two ranges – Forever One GHI which is near colourless with a feint hint of warmth (colour) and the Forever One DEF which is colourless and as close to white as possible. Please note that we don’t sell moissanite jewellery but be sure to tell us where you are (town or city) and we will refer you to one of our preferred moissanite jewellers closest to you. They will be pleased to show you moissanite and will provide you with a quote to make up your jewellery to match your ideas, design and requirements as well as supply the moissanite at competitive prices. Whether you want to create your own design and have it hand-made for you, or choose an existing design that you love, we will refer you to some of the best and most talented jewellers to have your special moissanite jewellery made up for you. Their pricing is very competitive and with the excellent value you get when buying moissanite, you are assured of getting your exquisite jewellery at an excellent price to enjoy for many years to come. In a vast tract of pine forest in central North Carolina lies Research Triangle Park, founded in the late 1950’s by state and local governments, world-renowned universities, and private businesses. It is home to over 200 firms engaged in some of the most significant scientific research and development in the world. Out of this hotbed of innovation there emerged a new kind of company, one that blended science, commerce, and ingenuity. After years of experimentation, certain researchers in Research Triangle Park perfected and patented a process for creating pure silicon carbide (SiC) – a long-sought-after breakthrough which made possible significant advances in the development of diverse products that included semiconductors, LED lighting, and extremely hard drilling tools and abrasives. Some of those same researchers recognized the potential for marketing this pure silicon carbide as a new and unique type of gemstone. Its hardness rivalled that of any mineral on Earth, and its refractive properties exceeded that of diamond. Here was a new type of gemstone, and Charles & Colvard® delivered it to a world yearning for elegant jewellery which was free of environmental and ethical issues. To finally perfect the process of creating pure silicon carbide was a supreme achievement. This elemental material is so rare in nature that even locating enough to test was a monumental challenge. But with the advent of Charles & Colvard Created Moissanite®, that barrier to progress has been overcome. Today Charles & Colvard continue to pursue further refinements of this unprecedented gem. More than twenty years ago, Charles & Colvard® patented a sustainable, socially responsible method for growing pure, nearly perfect gem-quality moissanite. The advent of what is now globally known as Charles & Colvard Created Moissanite® opened up electrifying new possibilities within the jewellery industry. More brilliant than diamond at a fraction of the cost, Moissanite Created by Charles & Colvard® is among the hard¬est minerals on the planet, more durable than sapphire, ruby, or emerald. Its beauty and brilliance is guaranteed to last Forever. Forever is not just a promise, it’s a mission: A mission to refine the processes and technologies we pioneered to ensure that Charles & Colvard continue producing moissanite with ever-greater purity. It is out of Charles & Colvard’s promise that they proudly introduce the Charles & Colvard® Forever family: Two grades of moissanite, all brilliant, all with stunning optical properties and unique characteristics, and with the promise to endure Forever. With ongoing innovation in research, perceptive consumer outreach, and inventive channel marketing, Charles & Colvard® continues to bring about change to the jewellery Industry with its fresh ideas and forward-thinking insights.